Launch your own branded Roku Channel Instantly! Roku, with over 10 million devices sold, is amongst the most popular media boxes available in the market today. It is the best way for any video streaming platform to tap into this potential audience by launching their own Roku Channel (App). Muvi helps you do that in just a matter of 1-Click! All you need to do is setup your Muvi account, upload content and enable Roku Channel from the Admin panel, and that’s all! Muvi will take care of the rest and notify you once the app is ready. Muvi offers customizable template for your Roku channel that uses the standard UX/UI as specified by Roku. Stay assured about the ease of use and improved usability. Better design, clear presentation and interactivity at its very best. Launch your Roku Channel (app) in just 1-click! 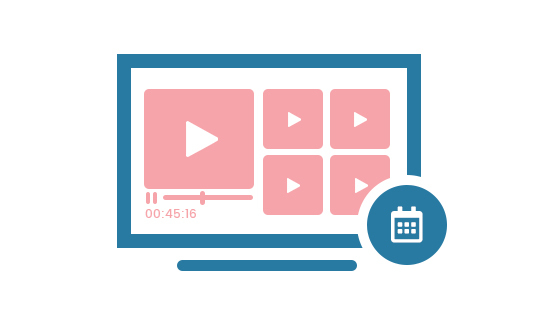 Muvi’s out-of-the-box platform is built on a ready framework, which makes it always ready to launch your channel as soon as you upload content and decide to launch. Muvi has a robust & highly scalable IT Infrastructure to launch any size Roku channels instantly and support millions of concurrent viewers in a blink of an eye. The Roku Channel (apps) powered by Muvi is feature rich, and will allow your viewers to seamlessly sign in using a single login, continue watching videos from last left on any other device, manage their account and profile, view payments and transactions, track their purchases, search for content and receive push notifications controlled by you about new updates! Muvi provides you a fully managed experience! This means right from the IT Infrastructure to your Roku App, all is build, deployed and managed by Muvi and you don’t have to worry about anything technical. You get to launch your Roku channel simply by pressing a single click on your mouse button! No Coding. No IT Teams. No Maintenance Contracts. Muvi builds your apps with you, get them published as well as provides critical upgrades and new features updates automatically without you having to worry about anything. Muvi works for you 24x7 so that you get to simply focus on your business. Your Roku Channel (app) will reflect YOUR BRAND everywhere not Muvi’s. From Logo to brand communication, everything is under your own brand name. The app is also published to Roku Store under a developer account created under your name & email, and this allows you to claim 100% ownership of the app, revenue, content and subscribers, leaving Muvi to only manage the technology aspect. Don’t like something in the default Roku App? Want something Personalized or changed? Don’t worry, creating an absolutely customizable Roku Channel (app) is all in your hands with Muvi. From changing the look and feel of the app design to requesting custom features and functions, as well as integration with 3rd party platforms for payments, reports, CRM and marketing automation, with Muvi you can go all out in customizations and integrations. Whether you choose to go with Subscription (SVOD), Pay-Per-View (PPV / TVOD) or video advertising (AVOD), or simply opt for all of these monetization models, your Muvi powered Roku Channel has it all. Muvi also supports multi-currency payments, multiple payment gateways, pre-payments which allow your viewers to pre-book upcoming content at discounted pricing! And all the revenue you generate from your platform, goes directly into your bank accounts, 100% to you, no rev share with any 3rd party platforms anymore. Get tons of data and reports about how your Channel is preforming and about in-app viewership pattern & behaviour. Measure, analyse and track the success of your channel with data points such as average viewing time, avg bandwidth consumption, popular video resolution, avg buffer time, app installs and uninstalls, avg user time in app etc. with Muvi’s in-built Analytics & Reports. Efficient Playout starts with us. Build your Live TV channel instantly on Roku TV using Muvi’s state-of-the-art Playout feature. Playout, Scheduling & Graphics - all incorporated in one unique app, now schedule your on-demand videos using the advanced 24*7 scheduler and seamlessly stream on Roku TV. Why wait then? Time to make Roku loyalists fan of your live TV channel!